So readers, I’m more of a cake maker than a biscuit baker, I discovered this weekend. 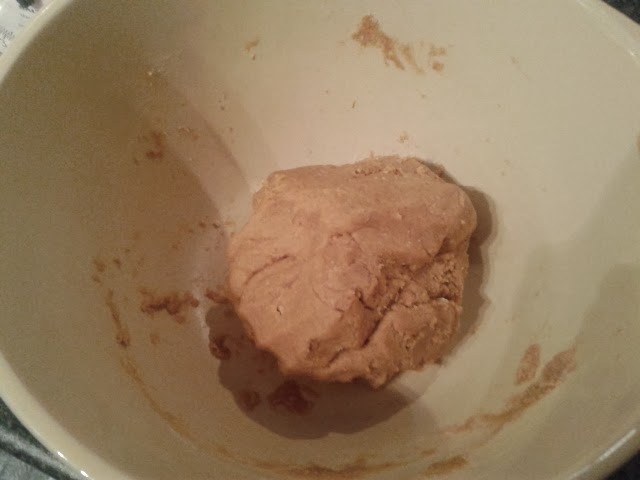 I used a BBC Good Food recipe, which I think would have worked no problem if I’d had a bigger food processor – my little one couldn’t handle the amount of crumb I was trying to make. I had to stop halfway and go back to the hand done method. 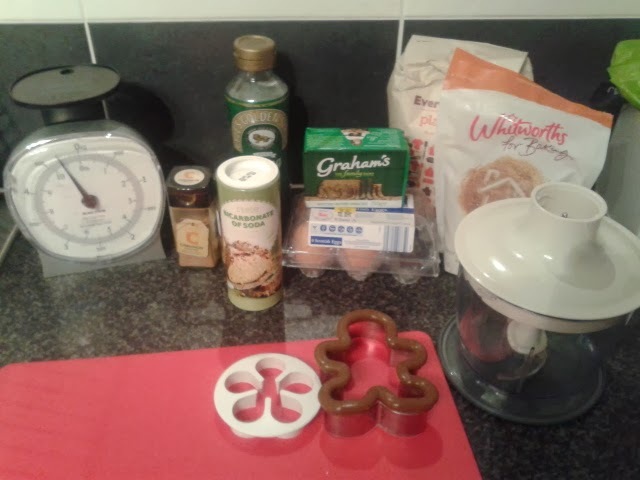 Then, my dough was soft, I rolled it too thick… put the gingerbread men too close together… and ended up with obese gingerbread people. At least it was a learning curve. 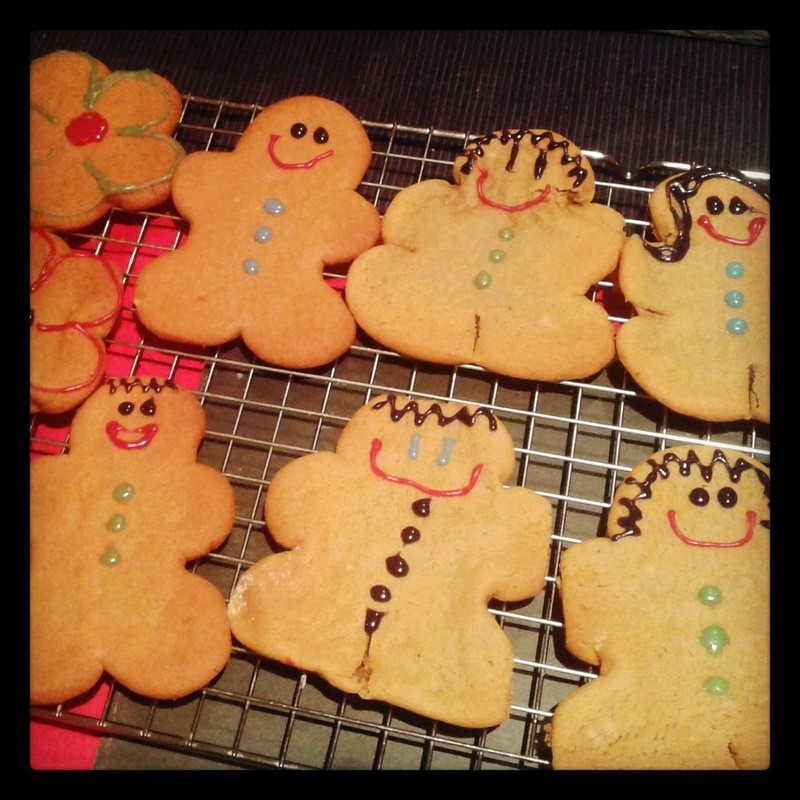 Some ended up more like Gingerbread Cookie People, which according to Mr What Claire Baked were really tasty, but just not the look I was going for. You can view the recipe here: or view my recipe breakdown below. Lay out all your ingredients before starting. Spot the small food processor. 1. 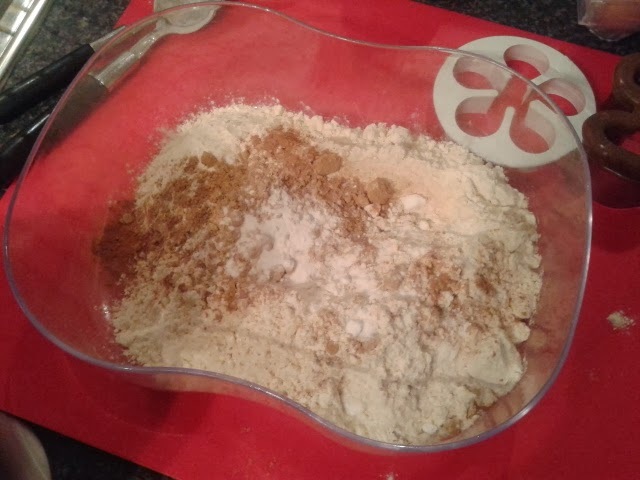 Sift together the flour, bicarbonate of soda, ginger and cinnamon and pour into the bowl of a food processor. Add the butter and blend until the mix looks like breadcrumbs. Stir in the sugar. If you don’t have a food processor, use your hands to bring the butter and flour until it’s breadcrumbs and then mix in the flour. 2.Lightly beat the egg and golden syrup together, add to the food processor (or bowl) and pulse/stir until the mixture clumps together. Tip the dough out, knead briefly until smooth, wrap in clingfilm and leave to chill in the fridge for at least 15 minutes. 3. Preheat the oven to 180C/350F/Gas 4. Line several baking trays with greaseproof paper. 4. Roll the dough out to a 0.5cm/¼in thickness on a lightly floured surface. 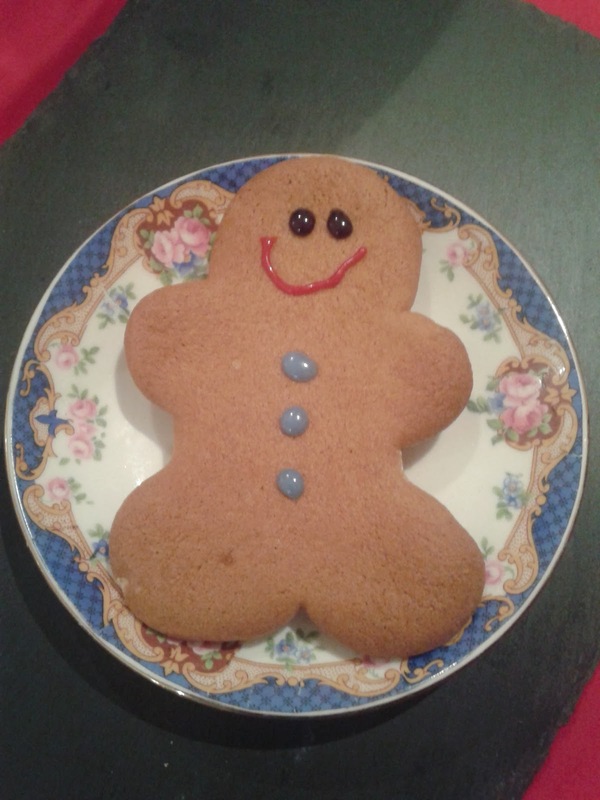 Using person shaped cutters, cut out the gingerbread men shapes and place on the baking tray, leaving a good gap between them. 5. Bake for 12-15 minutes, or until lightly golden-brown. Leave on the tray for 10 minutes and then move to a wire rack to finish cooling. When cooled decorate with the writing icing and give each one its own personality. One of the more successful people!